Yesterday, thrash metal icons Slayer announced plans to call it a day after one final world tour. Now, they've mapped out the first leg of the trek around the globe with some special guests. 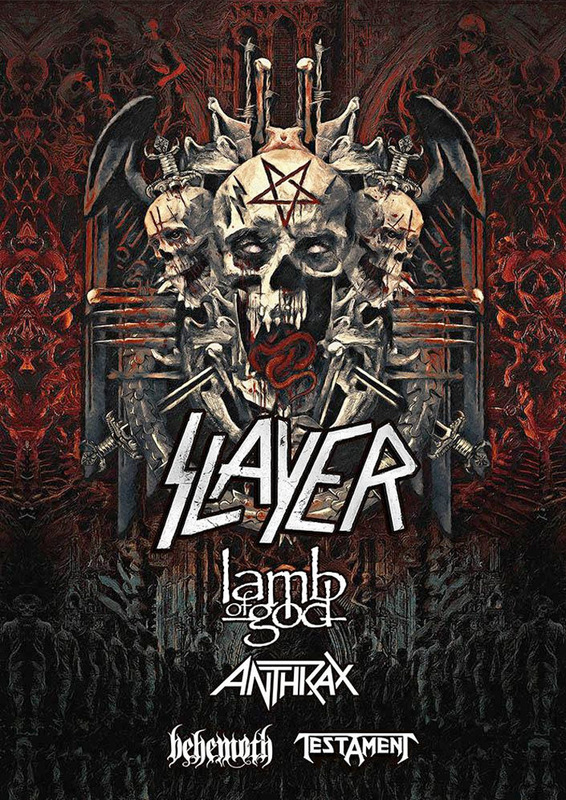 The five-band bill, which also includes Lamb of God, Anthrax, Behemoth and Testament, will play 26 dates in North America to kick off the trek. You can find a complete itinerary below. A number of Canadian performances have been worked in on the run. The bands will first play Vancouver on May 16 before moving eastward with stops in Penticton, Calgary, Edmonton, Winnipeg, Toronto and Montreal. Tickets go on sale to the public on January 26 at 10 a.m. local time. Limited meet-and-greet and onstage packages will also be available for purchase. Further information can be found through Slayer's official website.